Plot - A beautiful and romantic journey of 2 teenage cancer patients to visit a reclusive author in Amsterdam. A journey which makes them fall for each other. 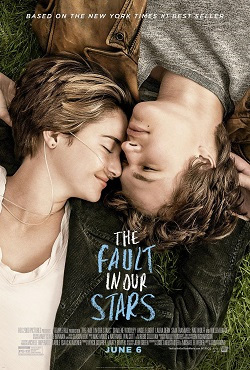 Adapted from the celebrated novel by a similar name "The Fault in Our Stars", Hazel and Augustus are two young people who share a acerbic wit, a despise for the routine, and an affection that compasses them on a trip. Their relationship is all the more wonderful, given that Hazel’s other steady partner is an oxygen tank, Gus jokes about his prosthetic leg, and they meet and become hopelessly enamored at a cancer support group. Awards & Nominations Won by "The Fault in Our Stars Movie"
Box Office Earning of "The Fault in Our Stars"